A few weeks ago, I had the chance to see Nightmare before Christmas, in Second Screen Live! Second Screen Live is the fun new way of watching old classics. Interactive from start to finish, we got to enjoy my favorite movie, in a new way. 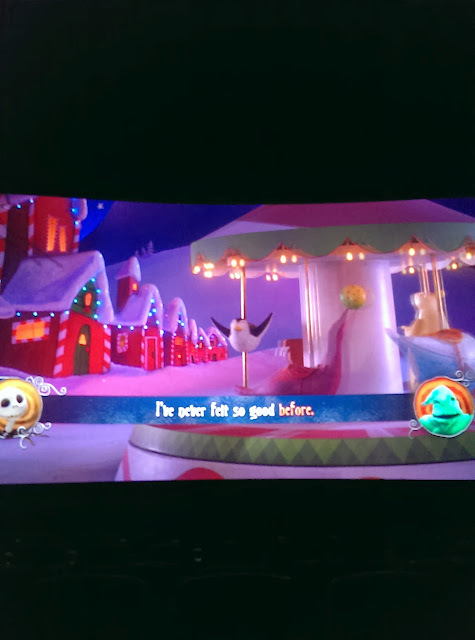 As Jack and Sally discover a life beyond their own death, they share their spooky world with the audience by asking trivia questions, play games, and compete against others. What makes Second Screen Live different from regular films? You must download the Second Screen Live App on your iPad and bring it to the theater. While most movie theaters tell you to turn off your phones and electrical devices, Second Screen Live tells you to turn it on and how to optimize you viewing experience. 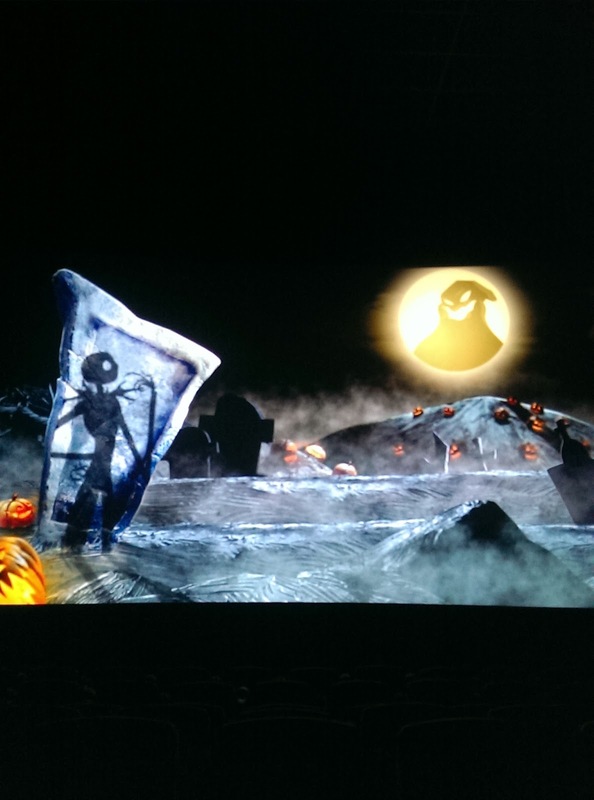 First, turn on your Second Screen Live: Nightmare Before Christmas App. Following the directions on the screen and app to turn on your proper settings. There you are chosen for either Oogie Boogies Team or Jack Skellingtons Team. 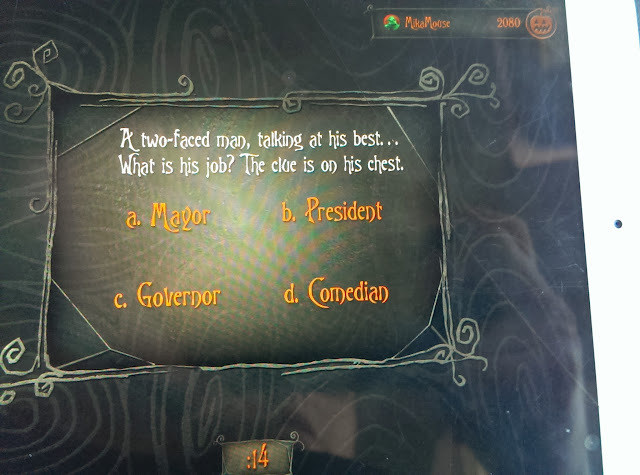 Answer tricky questions to try and remember what comes next. Can you spot the tricks that Lock Shock and Barrel play you? Find whats wrong with the picture! Can you smash all the bugs and get bonus points? Who could forget the Karaoke? "What's This?" 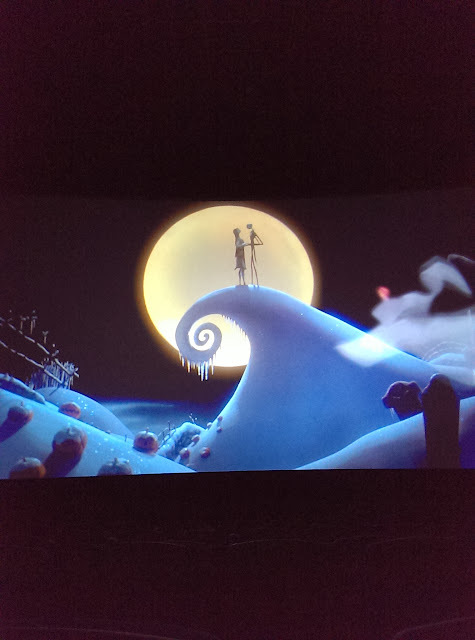 Love prevails and Jack and Sally are together. I adore this movie and I even dressed up as Sally for Halloween! "Jack" came with me as my guest. Were you the winner? 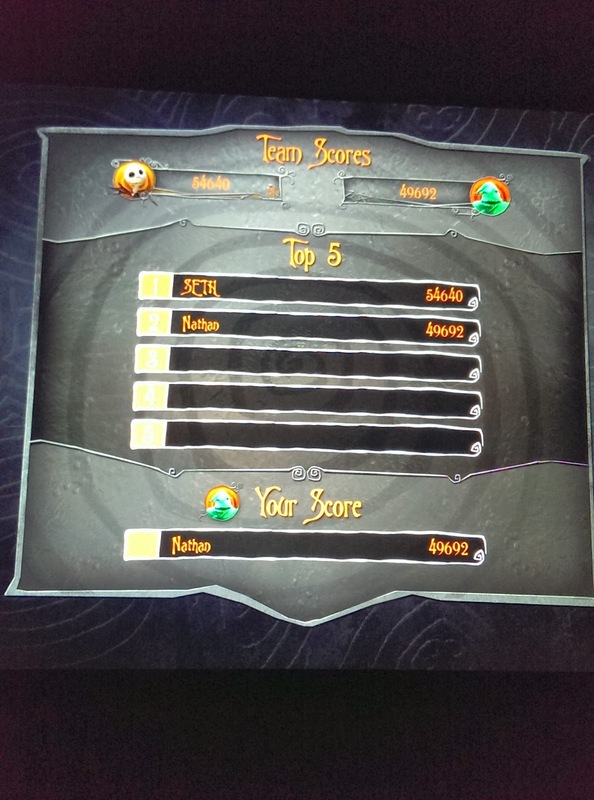 We were in the top few winners with over 49,000 points! 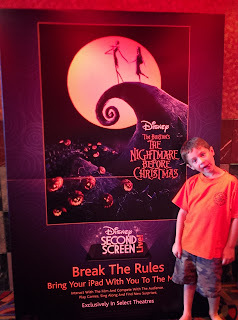 My son was being goofy as he did his best Jack Skellington face! 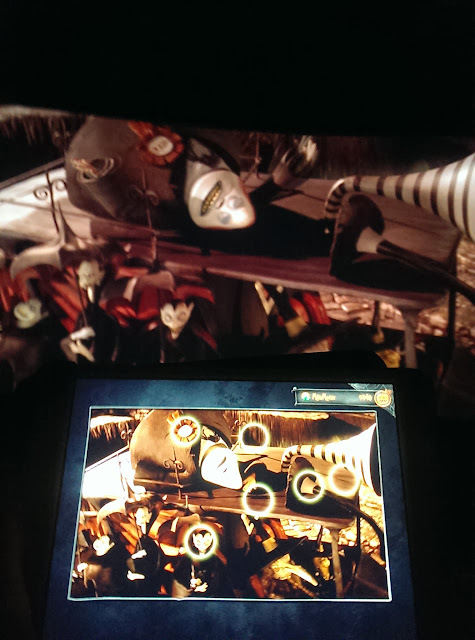 I hope you get a chance to see your favorite movie in Second Screen Live! 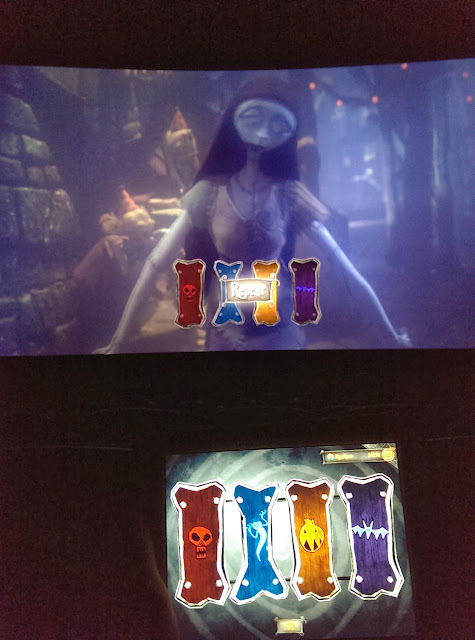 It really is a fun way to enjoy your old favorites! 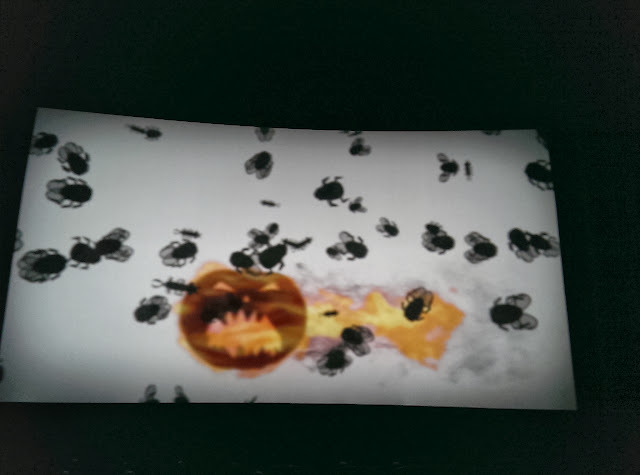 Movies that I have enjoyed since my childhood is now reborn with my children. 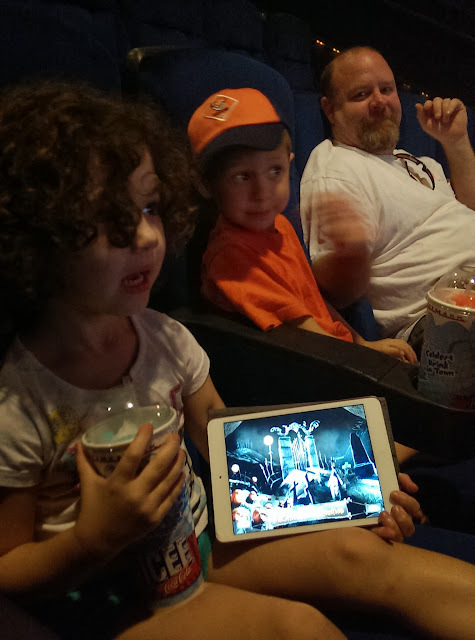 They are seeing movies that I saw in the theater the first time around, my children are seeing for the first time years later! DISCLAIMER: I received tickets to review Nightmare Before Christmas: Second Screen Live for my family. All thoughts and ideas are my own. Do not use any pictures without permission.